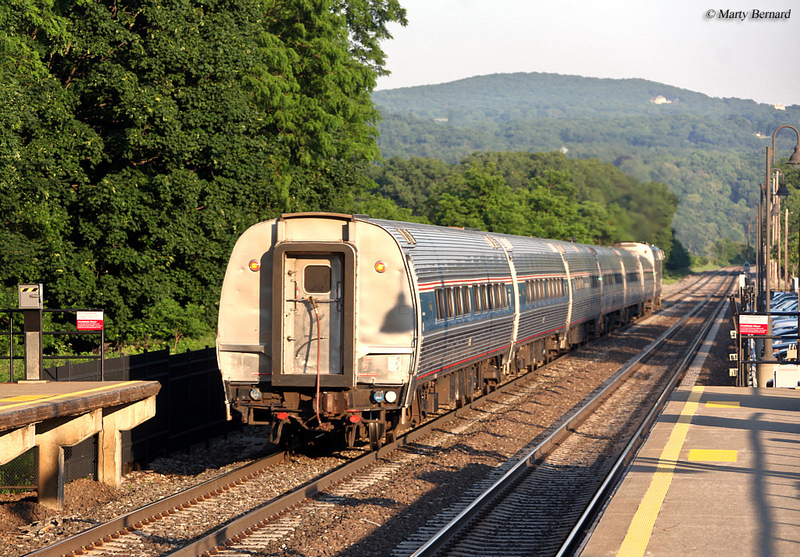 One of the most scenic passenger trains Amtrak currently offers is the Adirondack, which connects New York City with Montreal, Quebec, passing through the mountain range it is named after. 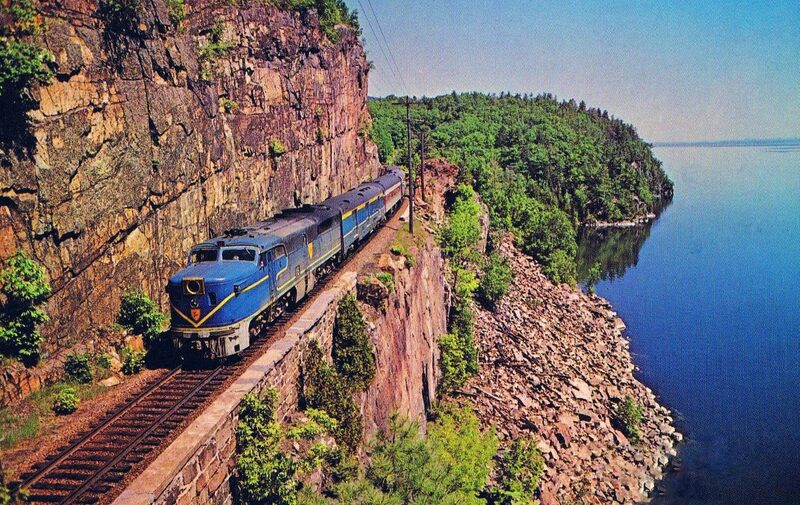 The history of this route is certainly not new as the classic Delaware & Hudson Railway once fielded two well known trains of its own over the same corridor, the Montreal Limited and Laurentian. 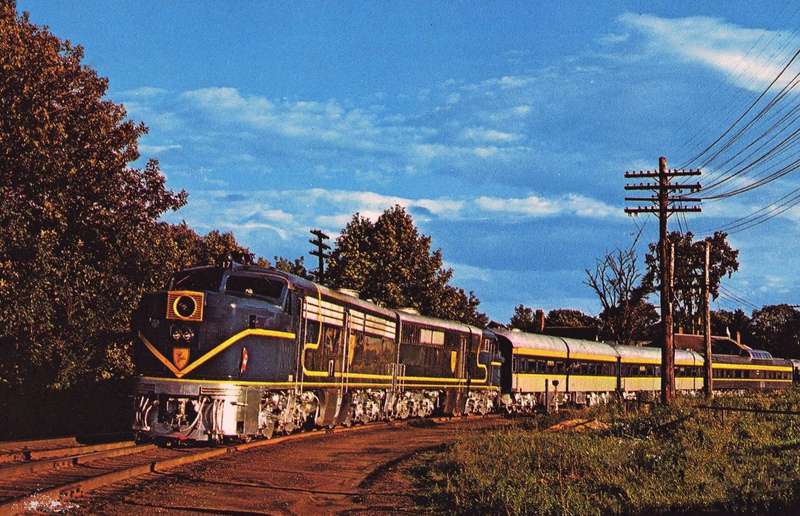 Back then, the D&H offered connecting services to several different railroads such as the New York Central, Central Vermont, and Canadian National among others. 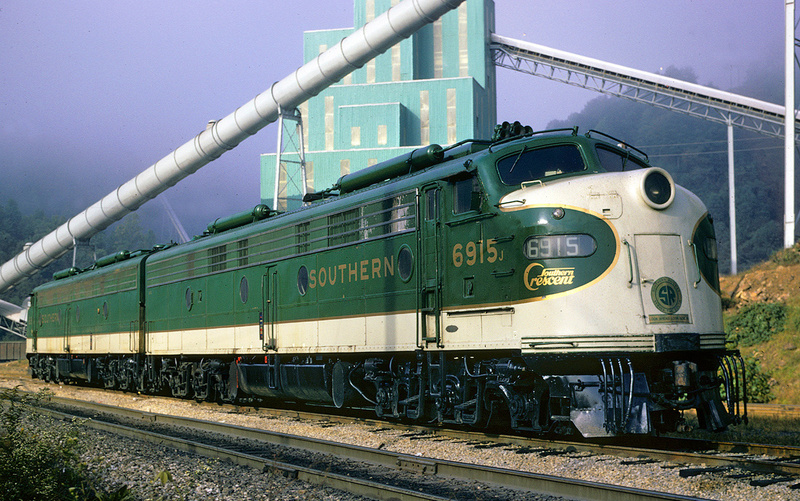 Interestingly, in the late 1960s the D&H's services grew immensely when its then president spent lavishly to promote its small fleet, a historical footnote which has not been forgotten today. The train's survival has been thanks in part to help from the state of New York and its future hopes include operating partial or full high speed rail service to and from Montreal. 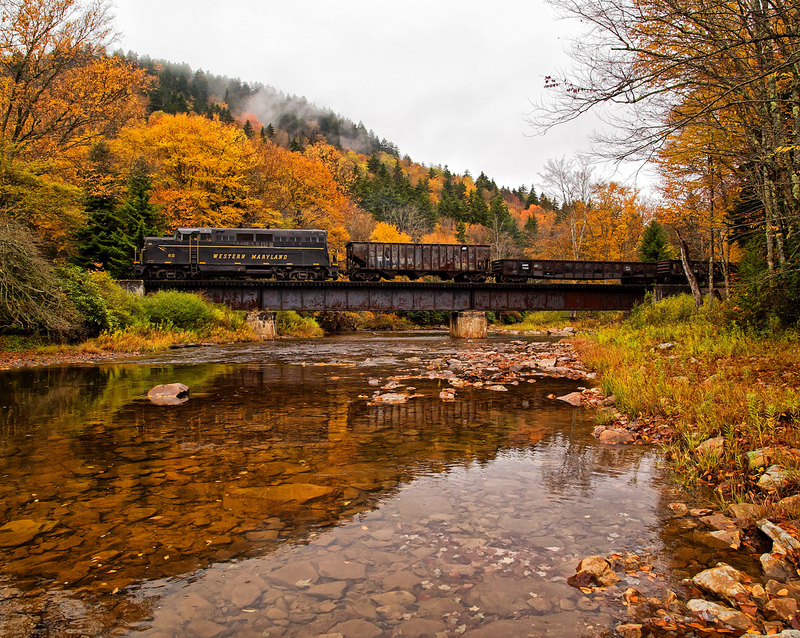 The Delaware & Hudson Railway was a classic New England line, which primarily served New York with connections also reaching into northeastern Pennsylvania and western Vermont. It was also one of the oldest railroads in the country with a history that dated to the Delaware & Hudson Canal Company of 1823. Despite the railroad's relative small size it actually had to compete rather viciously for Montreal-based traffic with other lines including the Boston & Maine, Rutland, and Central Vermont. This was due to the Quebec city's importance as a rail center (the Canadian Pacific also reached Montreal). However, due to its through route and connection to the New York Central at Albany the D&H was a natural ally to the large and powerful eastern trunk. In 1900 using the NYC's Albany Union Station as a conduit the D&H launched the daily Laurentian (named after the Laurentide Uplands near the mouth of Lake Ontario and the St. Lawrence River it carried train numbers 34 and 35) and overnight Montreal Limited (the #9 northbound and #10 southbound) as a through Montreal-New York service. Given the immense beauty of the corridor and its fast speeds, just nine hours covering the 375 miles, travelers quickly flocked to the trains (especially in the era when the Adirondack Mountains were a major vacation destination for those which lived in the big cities, like New York and Boston). Because of the relatively short jaunt the Laurentian's consist included a baggage car, several coaches, a diner, and a parlor-lounge. Its counterpart, the Montreal Limited comprised much of the same consist save for its additional sleepers, usually carrying three; a 13 double bedroom and two 10 roomette-6 double bedrooms. During the late steam era power for these trains on D&H rails was either a Class K 4-8-4 Northern or Class P 4-6-2 Pacific (and sometimes these were double-headed). 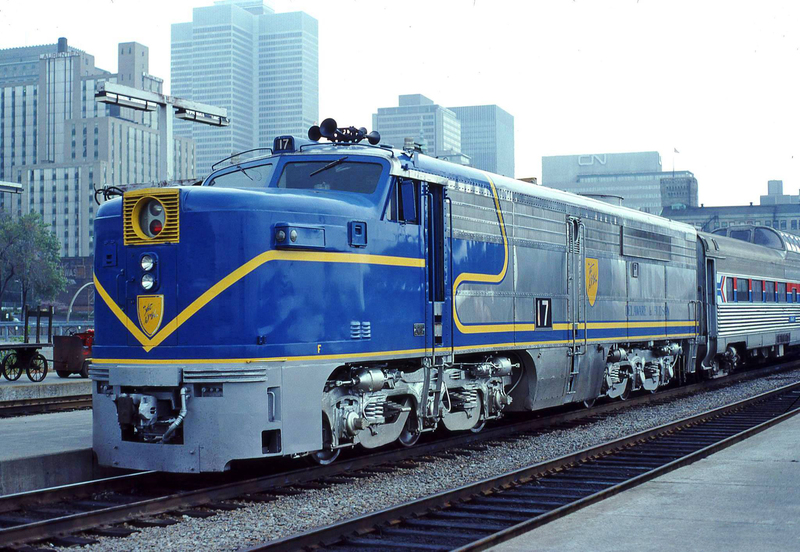 Since the railroad owned mostly American Locomotive Company (Alco) models for its diesel fleet these were standard power after the steamers were scrapped. 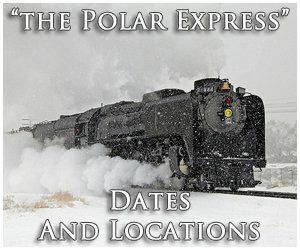 After 1960 the railroad canceled all of its local passenger runs north of Albany, leaving only its two through trains on the schedule. Then, in 1967 under the direction of new president Fred "Buck" Dumaine, the railroad made a very bold decision to purchase four former Santa Fe Alco PAs and other second-hand, streamlined rolling stock to heavily upgrade both trains. 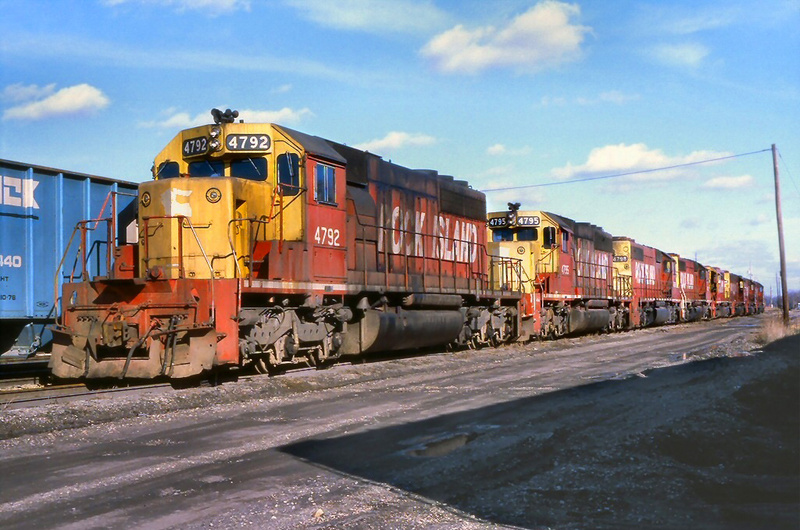 To keep costs to a minimum, however, the D&H kept the Warbonnet design on the four PAs and simply changed the colors and did similar touch-up work to the cars. The consists remained roughly the same with the addition of a buffet car on both the Montreal Limited and Laurentian. 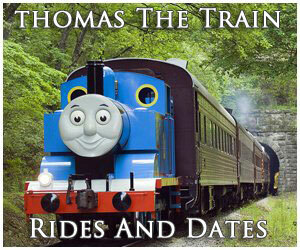 While both trains made the D&H a hit with the public, especially railfans, their reign was brief. 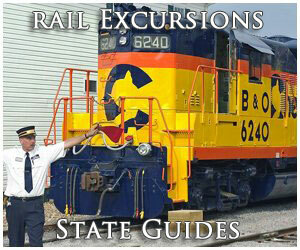 On May 1, 1971 Amtrak took over intercity rail service and neither train was retained. 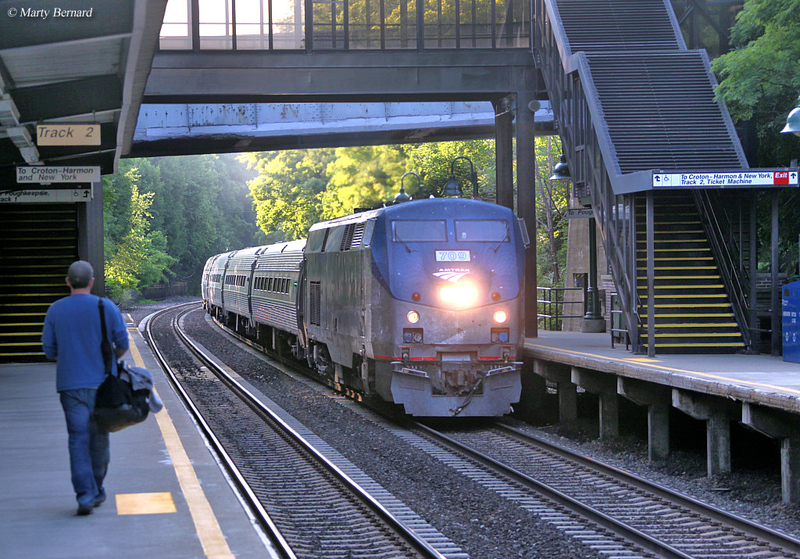 This setup did not change until the New York Department of Transportation stepped in to subsidize new service over the same route and Amtrak inaugurated the Adirondack on August 5, 1974. Listed as trains #8 and #9 on the carrier's timetable, interestingly, the current schedule does not quite meet what the D&H and NYC were able to accomplish as it now takes 11 hours to complete a trip. For many years travelers could still experience a semblance of what it was like to ride the Montreal Limited and Laurentian as the Adirondack still departed NYC's Grand Central Terminal and ended its journey at Canadian Pacific's historic Windsor Station. 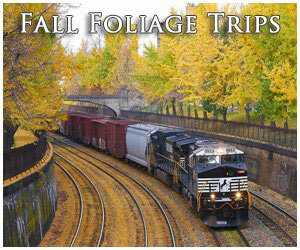 Today, the train operates with four Amfleet coaches, an Amfleet cafe car, and interestingly dome service during the fall foliage season. Power is usually provided by a standard General Electric P42DC. Since the early 2000s talks have came and went of upgrading this corridor to high speed service of over 100 mph. This would likely shave considerable time off of the train's schedule but with money unavailable there seems little likelihood of it happening anytime soon.